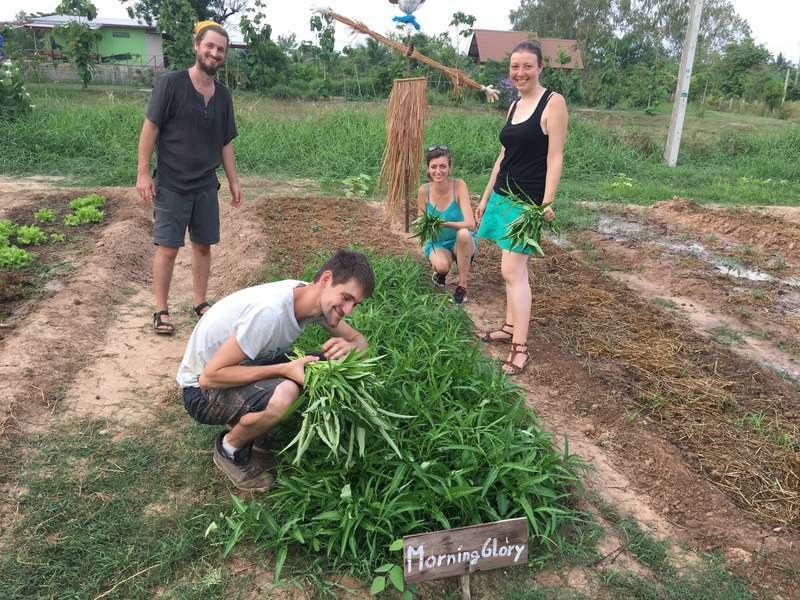 Help us build and look after the eco-village in Kalasin, Thailand. Would you like to do something for the planet? I have lived in the UK for nearly 6 years, and have moved back to Kalasin Thailand. 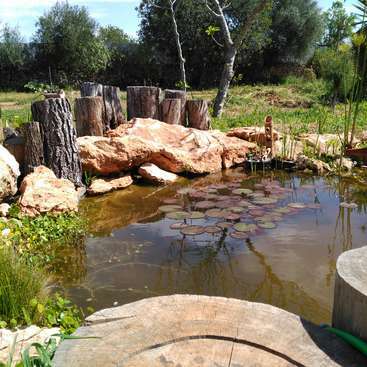 We have just started building an international Eco-village and we need a lot of help with preparing land for our organic farm, making mud bricks, painting huts and wall, looking after the trees and vegetables and cook as well as make the village looks nice such as using recycled materials decorate the surrounding area and sometimes help less fortunate people in the community. While doing those eco activities local students and others local people will be able to practice their English naturally while working with you. if you are non-smokers and non-alcoholism. Art and craft work using natural and recycled materials. Traditional cooking with our homegrown vegetables. Planting trees to preserve local forests. I had a good time at the eco-village, I would help water the plants, dig holes and help out with a summer camp. Like I expected waking up in the early morning was difficult in the beginning, but the sunrise and a good yoga-session with Katie made everything worth it. I was really struggling with the heat in the afternoons though... In my time we… read more did not have to pay for the food and I was very happy with the loads of vegetables and fruit (as a vegetarian). 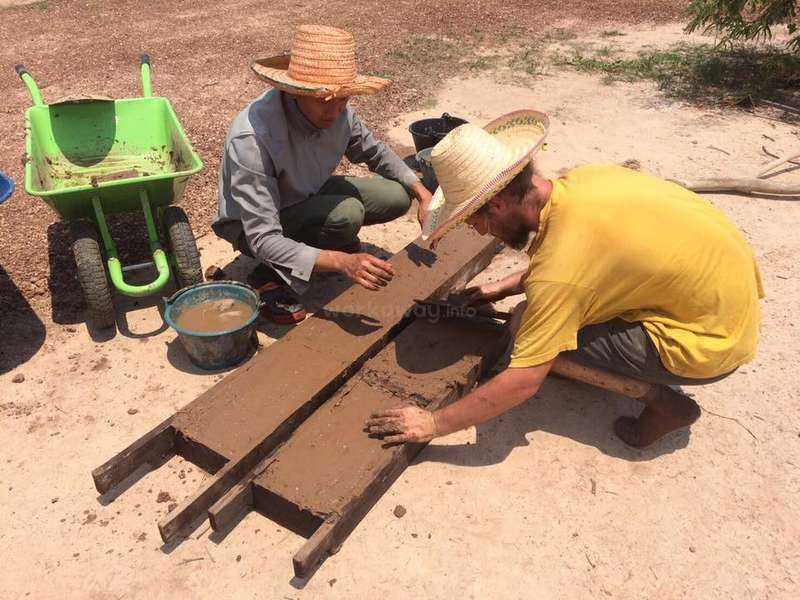 I also enjoyed making mud bricks, learning about this Thai fruit ''Sala'' and planting used herb-roots in a garden bed. I also really enjoyed wearing the straw hats during walks around the village (the dogs will go with you). My only feedback would be to have a more organized planning of jobs/activities for each day and better communication and preparation for a camp. I also would have liked to see less plastic being used or brought into the village. That said, thank you Chai, Imm Imm and ofcourse Sap! Thank you so much for your help and supports. I was so welcome for Chai, Sap, Imin, for his family, friends and other volunteers. I stayed for over 20 days in January, Chai always made me feel special as the first Brazilian volunteer and the working I was doing. Sorry for taking so long to write the feedback btw. Chai is one of the people you must know in life, and especially if you can call… read more him a friend. Because he is an inspiring person, very focused and determined in his projects. In not the long time ago he built a place for the people in Kalasin, and new generations in Thailand to create a more sustainable world, promoting changes and the difference, being better individuals, after all. It's great to have had the opportunity to be part of this project. I learned a lot of mindfulness meditation and Thai lifestyle, volunteering, sustainability, and surely that great experience gave me seeds to make some difference in the world in my next steps. We worked hard farming, the food was great and fresh, a lot of local experiences, joining some local events and at the schools. The place itself is beautiful and calm. Besides all, you feel like a family. Thank you Chai and everyone for everything. 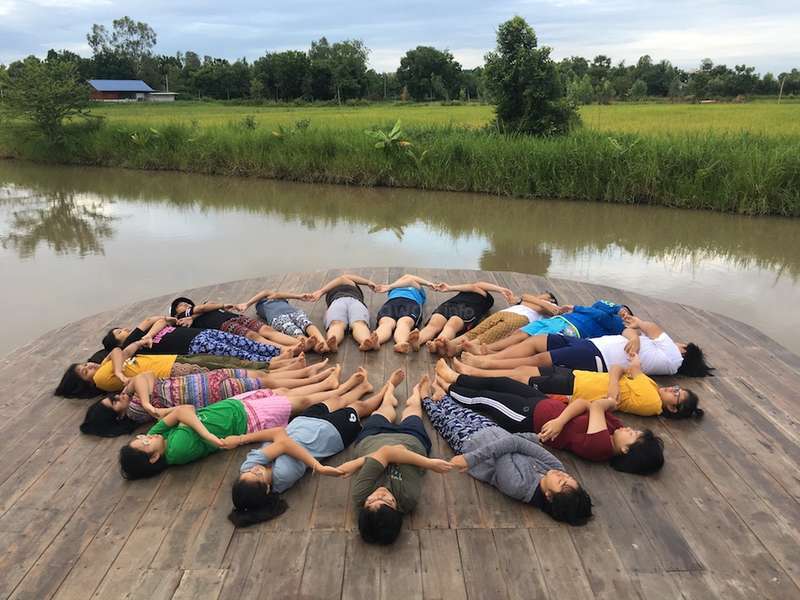 We spent 2 weeks in this international eco-village in Kalasin with Khwanchai, Sap and Imim and some days with Pan, and it was one of our best experience in our life! We learnt a lot about life and spirituality, bouddhism philosophy and will. 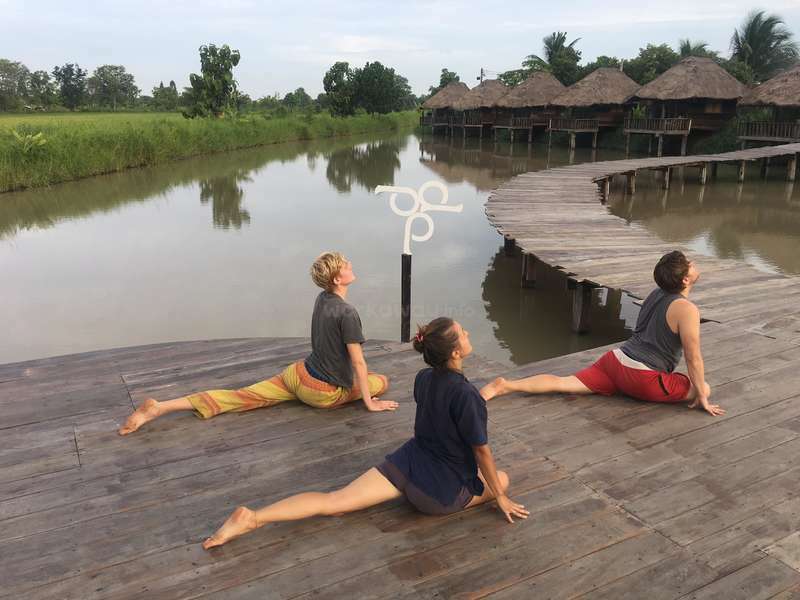 On the morning we practiced yoga and meditation with our master Khwanchai on the mindness bridge, and what… read more a wake up! It was wonderful to wake up and excercise ourselves with the early day energy (even if it was a bit hard to wake up during the first days, you quickly get used to!). We help to prepare food for monks for the 2nd anniversary of the place, it was a great experience to share this moment with local people and monks. We really felt emerged in the local habits. Khwanchai also made us visit temples with his friends, and were always very open to answer our questions about everything. Ange could also go in a trainning about thai medicine done by great thai people (Khwanchai's friend) and it was also a great moment for her. We eat tasty and delicious food with Khwanchai and Sap and Imim, thai food they cook is just awesome! We also talked with students about themselves and ecologies in general when they came at the place, nice moments. We really had good times there. For sure we will come back one day. Of course we highly recommand you this workaway! both of you have helping our project so much especially help us prepare the fund raising event hope to see both of you again when you next come to thailand and thank you so much for my birthday gift !!!! Living with Chai, Sap and Imin was an amazing experience, all about the nature and the cultural exchange. Chai and Sap thank you for teaching us your beautiful culture, your tradition and how to cook! At first our stay was to realize a lot of things for the eco project, we learn so many things! The only thing was that they have limmited… read more internet connection if you want to talk with your family or friends. Living with chai and his family was a real Thai experience: eating with hands, cooking with bonfire and practicing yoga in the mornings! Thank you for your willingness, the company and the fantastic food, we miss a lot your peaceful Eco Village and the lake. Thank Kwanchai for accept me to his place! It's was a wonderful experience in Kalasin. This place taught me about what we can do for our world practically, like our purchasing habits, pick up rubbish, eat green etc. Its all about how we living. Beside that, volunteer with local people to provide them more English environment and Kwanchai's speech… read more for local university students is so inspiring! This place had given me very local experience, which always live close with Thailand people. This place gain back my confidence toward Thai food, homemake food and deserts are so delicious! This place is not only about simple and mindfulness lifestyle, its also make me think a lot about life here. Thank for everything. For anyone want to know more regarding this feedback, please feel free to contact me. I stayed 1,5 week and I enjoyed staying here. The founder is very passionate and this is inspirational. We started the days at 6am with morning excersizes and I teached some yoga. Beside that the work was mostly watering the plants, picking up garbage, painting and teaching English. There is a community feeling and cooking is done together. The… read more bungelow is very nice with a balcony on the water. There are no beds but mats, very basic. It was nice to contribute selflessly!!! I can recommend this place as a workaway experience! I came for a few days and ended up staying much longer! Kwanchai is a great person and the stream of locals, volunteers, and community members who came through are always lovely! 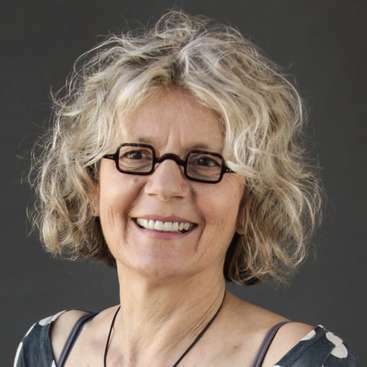 I love the approach of sharing language and culture, with the goal to also raise awareness of the environment and how we can live simply but well with nature. 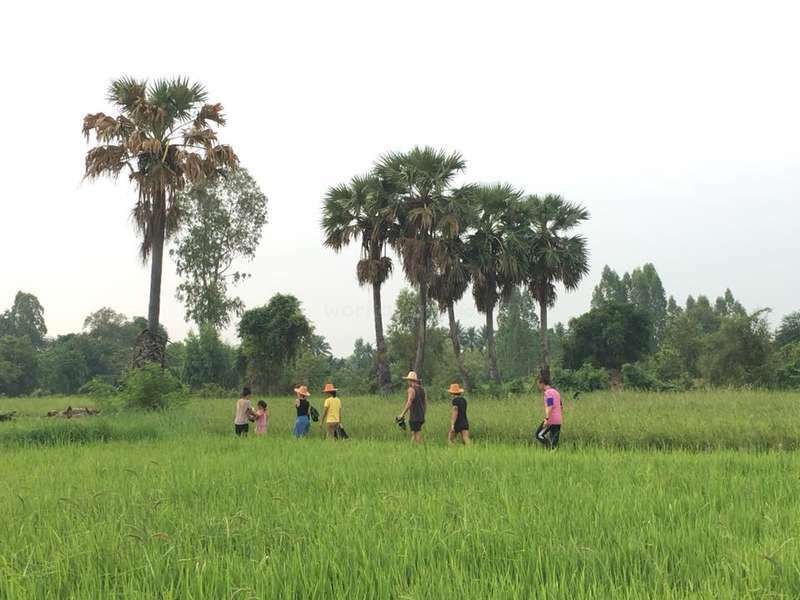 Days… read more started with stretching, yoga, and walking in the rice fields. Then usually watering plants and breakfast. The activities varied. Sometimes there was a lot to do, sometimes only a little. It is very Thai in this sense that you just go with the flow, relax when there is time to relax, and help out when there is time to help out. The huts are also so cool! Very idyllic, simple little places on the water. I volunteered in this eco village for a week and it was an amazing experience. Chai was a really nice host as he welcomed me and the other volunteers with his hospitality and his great sense of humor. I was there while they were having a camp for kids, so we walked to the rice field in early mornings to do exercise and breathed the fresh air. Then… read more we planted and watered some trees, had soy milk, cooked together, reviewed the activities and vocab that the kids had learned. 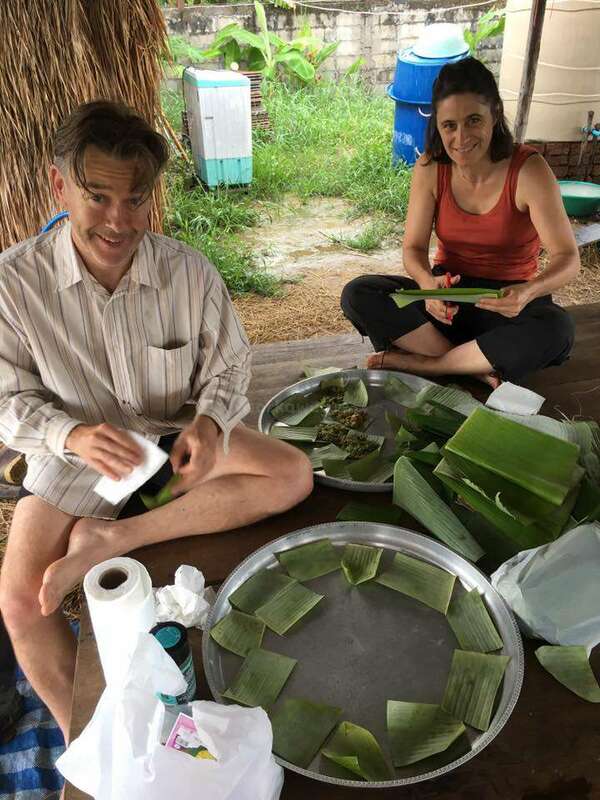 We made some traditional Thai desserts and learned to make mud bricks, which will later be used for making a mud house. When the weather got hot, we just jumped onto small boats or jumped into the water and it was relaxing and fun at the same time. As for the accomm, I could not ask for a better place. 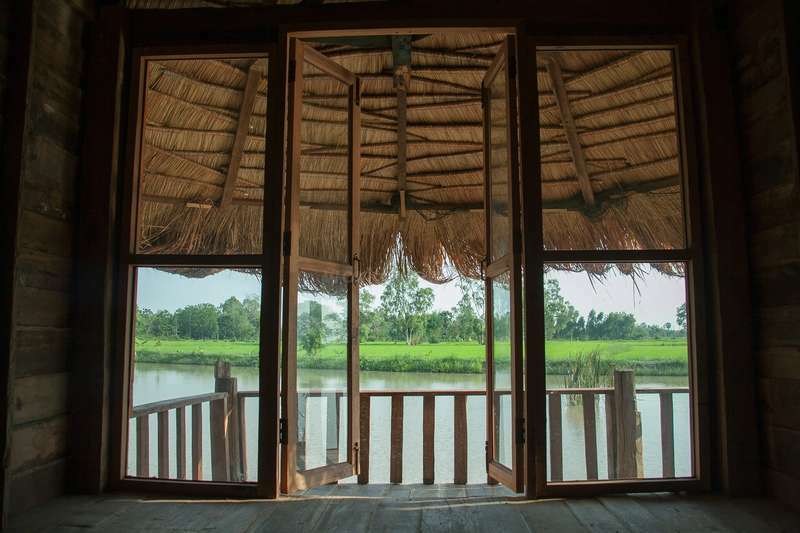 We shared a hut with another "cottage-mate" and the best part is when you wake up in the morning with the panorama view of the natural pond and the rice field. Now the village is still in process and it needs your help, your beautiful hands! So come join the project and live the eco-friendly life ! Chai is an amazing host and I am so glad that I was able to spend time with him and his friends in Kalasin. I was fed well and he was very flexible about working time. Thank you Chai for welcoming me into your heart and home. Good luck to you and the project!! Hi ! We have spend 5 days in Kalasin with 2 days in hopital because Manon was sick... Kwantchai help us a lot with the assurance and medecin and a lot of stuff ! He was very helping ! Then with the work, we was on the village to 9am from 6pm with a break for lunch. And we sleep in a great house with 3 rooms and 1 bathroom (all clean… read more !). We help to water the plant and build a wall in mud and poop, it was funny and interresting ! Kwantchai is every day in his eco-village, it's his project, it's his baby ! We meet all his family and friends, they are very friendly ! We meet also 3 others volunteers, they are fun ! We have spend a good time in this eco-village! We will come back to see the changement ;) ! I stayed 1 week in the project and I spent a very good week. Kwanchai and his family are really welcoming and friendly and make everything for you to be comfortable. 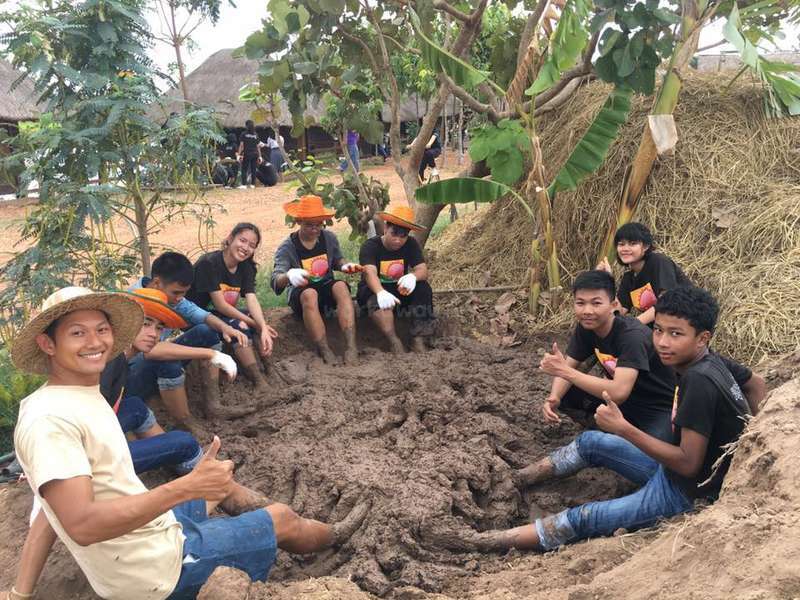 With other volunteers, we were in the ecovillage from 9 am to 6 pm, and we helped water the plants, dig some holes for planting new plants and we talked with young Thaï people when… read more they came. We also participated in the communication of the project, as Kwanchai works a lot on it, by being taken in picture with the visitors, which is an important part. On the last days, we started building a wall with mud for the kitchen, which was a bit physical with the heat but that was fun! As we arrived Kalasin we were welcomed by Chai’s both sisters. They show us the house and our place to sleep. We was surprised because there was no bed. The house itselves was not really clean and the shared bathroom including wobbly toilet without water flush. The village itself is a construction site. Actually the volunteers have to work 5… read more hours each day. However, we are from morning to evening in the village to make different works. (Digging and prepare holes for trees, digging holes for fence posts...) Only for lunchtime we could leave the village, because there was and is no possibility to leave, only for walk back in town ( 15-20 minutes for walk) Chai has no driving licence so he is dependent of his father and his father’s truck. After lunchtime back into the village we slept for 1 -2 hours. So regularly after 4 days and daily 6-8 hours hard work, we was knocked and took one day off. He does not care about his volunteers (only if visitors coming to the village) and the dog as well in no way. So the project was finished earlier for us as the old dog was horrible rotten with slit neck from somewhere. 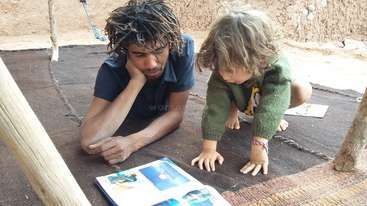 Without the daily support of his parents and his friends, the project would collapse immediately. The idea is to speak in the village english with local people during work, so that these can learn the language or improve the english skills. Basically it’s a good idea, but he does not stick to it and talk mostly thai with all of them. He was often very arrogant, he always knew everything better and he has ignored us for hours after differences of opinions. Also european visitors as well as Thais from Bangkok have recognized its behavior and are very disappointed departed. If you are a good and skillful craftsman, you should not waste your time here or be disappointed if your knowledge is not accepted. We wish Kwanchai all the best for his project and hope he takes our criticism to heart. My first volunteer experience happened at kwanchai's place. And wow, it was a blast! Kwanchai is friendly and will make yourself very comfortable there. As it is the beginning of the project, we had among the new volunteers all the freedom to create and build craft and eco construction and to set up the first gardening places. Kwanchai has… read more this amazing project to bring people together, to create, to farm, to get your hands dirty but more especially to teach people about ecology and respect towards nature and all of this while bringing a solution for thai people to speak English all together and it is very inspirational. I created a strong friendship with him, his friends and his lovely family. He made me discover the Thai culture, Thai Buddhism, and the amazing Thai food. Thank you for this amazing experience my friend and I can't wait to come back and work more with all of you! 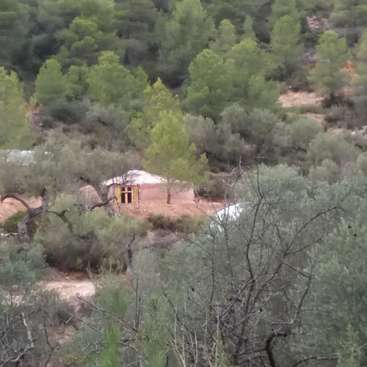 Donnez un coup de main pour planter et rénover à Tagounite au Maroc ! Help with my four year old daughter and live in Llucmajor, in Majorca, in the countryside.